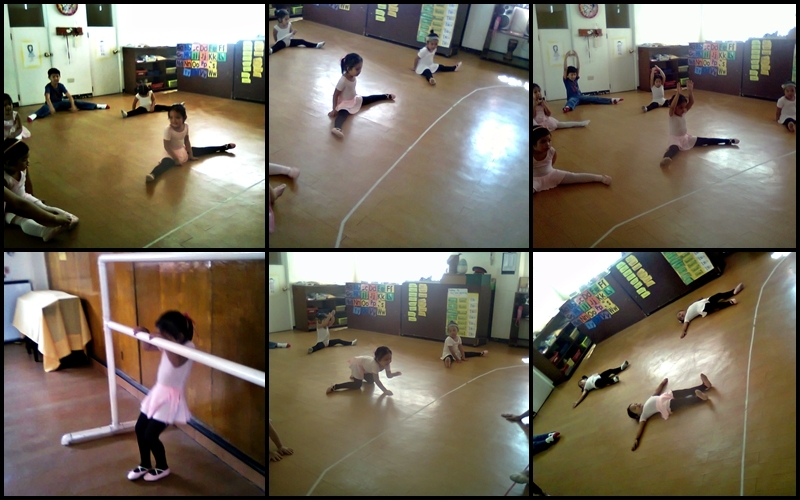 Today is my daughter's 2nd session of ballet class in Primemont Science School. And well, because I have to go to the office and can't file a leave all the time, she was accompanied by her nanny and nanny's cousin (who is my mother-in-law's go girl). Before I left for work earlier, I made sure that the nanny (N) understood all my instructions. But lo and behold! 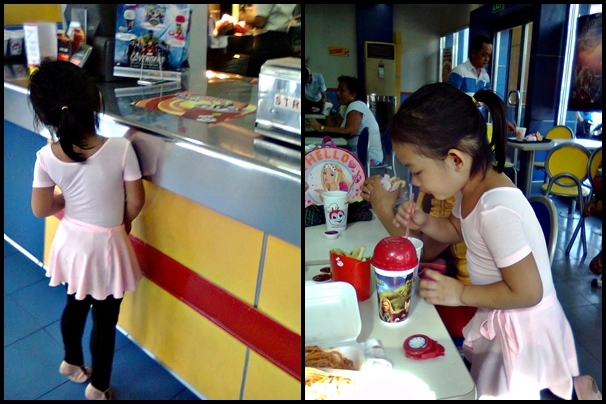 When I called them up at 12 noon, my little ballerina (LB) was already dressed up. The ballet class starts at 2 pm! Didn't she think LB would have gotten dirty before going to school?! Ugh. So instead of getting more frustrated (which I already was, by the way), I told all my instructions to the nanny's cousin (NC). When I texted NC by the time they were done, she said they were already home. So I called them up and N answered. N said LB was more well-behaved than when she attended her 1st session. I'm happy to know about that but it sort of pinch my heart a bit, that I was not there to witness it. Sigh. I just thought that it's a stepping stone to eventually making her go on her own. Shucks. She's only turning four and she can now do well without me. Sniff-sniff. Ohh-kaay, cut the drama. I would just like to share with you LB's first experience being in school and doing her fantasy role, being a student ballerina a la Angelina Mouseling. Got to have some beauty rest. 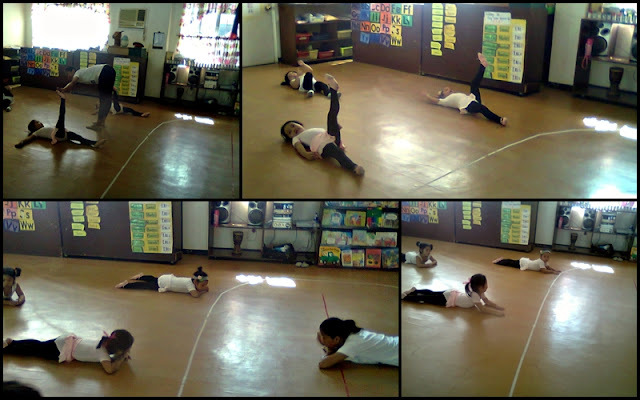 As what I have mentioned in my previous post, her ballet class has been held in Primemont. Since the start of this year, I've been on a hunt of a good progressive preschool for LB. My husband and I decided that the school must not have traditional curriculum. Not that we have something against the traditional standards; because we were put into school with such; but we learned that a progressive school helps develop the child more. I cannot put all the learning I knew about progressive school into a concise paragraph, but this link might help. 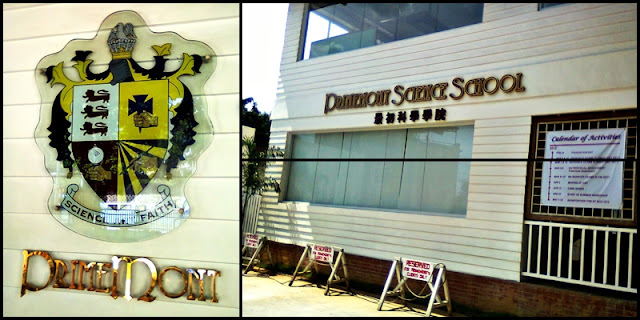 On my school-hunting over the net, I saw ISYC and Smallville Montessori. Both have good reviews by moms residing in Marikina. With enough deliberation with the husband and thorough thinking, we thought it's too far from home and really has above-average cost of tuition and miscellaneous fees. We actually really liked it there, but we have to consider our child's welfare with regards to her length of travel going to and coming from school. Of course, as much as Jesus loves children, He loves mommies, too! I saw a tarpaulin hung somewhere when I was on the way home. The "integrates conversational Chinese language into the curriculum" phrase caught my attention. I talked to Teacher Joy about how they handle their students and I can say that we have found what we were looking for. In fact, my mother-in-law was impressed at how the students were speaking --- conversational English with a twang. Hihi. That only meant that the teachers really speak with their students in English. There's nothing wrong about the Filipino language. Masaya akong maging Pilipino at magsalita ng Filipino. But being able to write and speak in English makes you a bit of a globally-competitive individual. Ehem. Yes, I saw you raised your eyebrow and made a face. We'll delve more into that. Please leave a comment if you want to discuss about it. 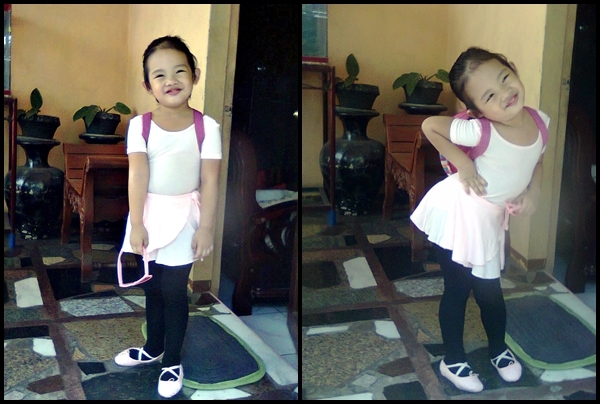 Pretty little ballerina! She maybe was very excited to attend her ballet class that she dressed up early. Learning to speak English as early as her age is a plus, so I agree with you. Good luck to your little darling. I love her first two poses, she's so kikay.. Maximum cuteness! The joy of being a parent. I know how proud we are when it comes to our kids. Your little Ballerina is doing great in Ballet class. aaawwww such a cutie. 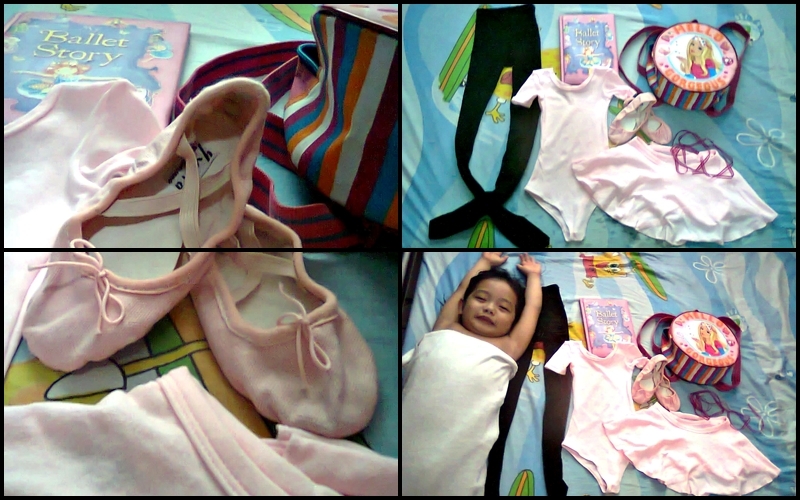 My daughter is into ballerina as well and we bought her ballerina outfit though she doesn't go to any ballerina schools hehehhe. she just loves wearing it especially when her favorite show "Angelina Ballerina" comes on. I am also thinking of enrolling my daughter in a dance class although probably a different style. My daughter also loves to be a ballerina. 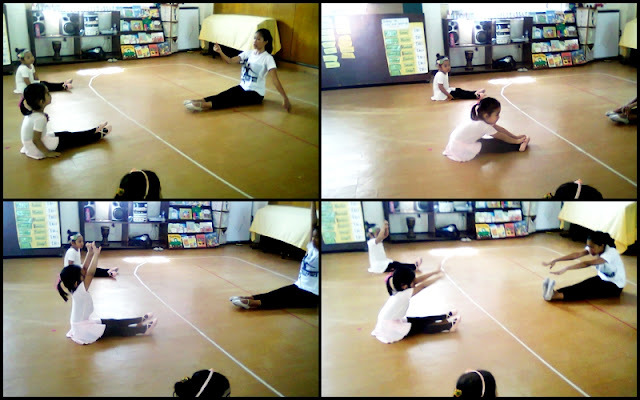 she even as this routine she calls ballerina practice dance. I hope one day I could enroll her to a class. She looks so cute, I also like to buy my daughter the same ballerina outfit:)..Looking through the pictures I can see your little ballerina girl enjoyed her ballet session.. Your daughter is so cute wearing her ballerina outfit.Two years from now,my Rhian will already go for schooling.I am excited and looking for that to happen.We should be always proud to the achievements of our kids. Such a cutie! She is smart with the kids of her age you won't expect that she will follow her teacher and attend dance lesson because some of the kids I know just want to play and watch cartoons. 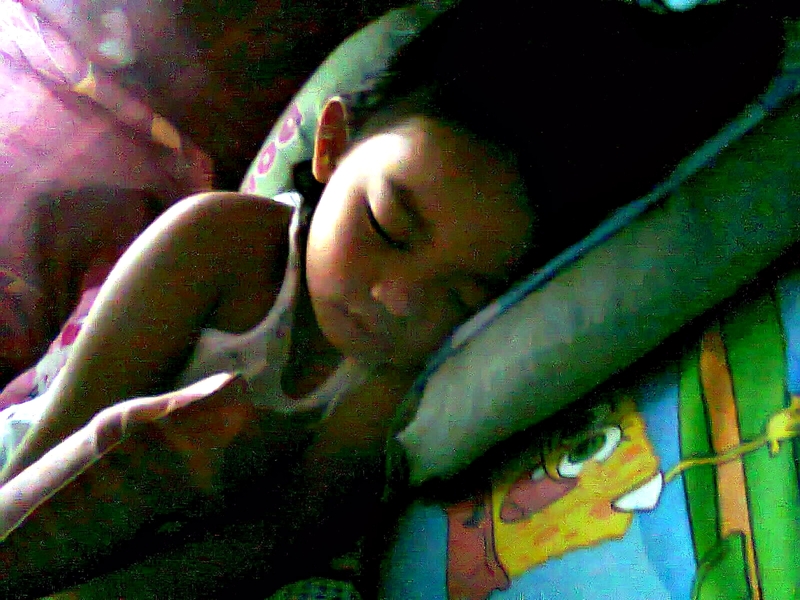 your little angel is so cute! I love her pose on the bed with the clothes!